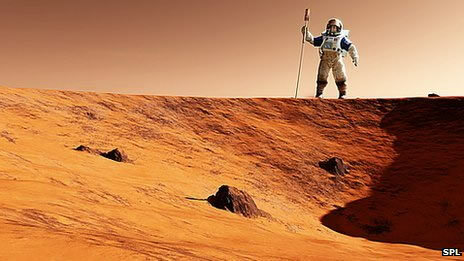 BBC News 'Viewpoint' Article: Should we send humans to Mars? 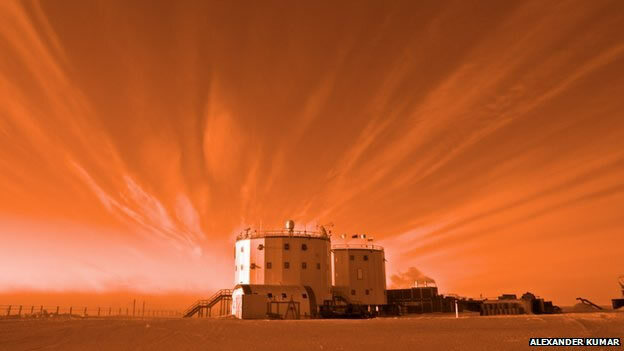 In the second instalment of his two-part feature on human missions to Mars, Dr Alexander Kumar – who has been overwintering at Concordia Station, Antarctica – asks whether we should send people to the Red Planet given our poor record managing this one. Much like the interior of Antarctica, Mars remains inhospitable. For humans to live on the planet for any significant period of time would require the recycling of water and air, along with other so-called “life systems”. At Concordia station in Antarctica (my current home) we use “grey water recycling” – taking the water generated from domestic activities such as laundry, bathing and dishwashing and recycling it on-site for other uses. This mirrors the system used on the International Space Station (ISS). But there are even grander ideas that could further extend the duration of human habitation on Mars. Whether or not we find Martian life, there is a long-standing wish to “terraform” the Red Planet. This would involve artificially transforming the climate and surface to enable humans to live there without life support systems. In his Mars Trilogy, science fiction author Kim Stanley Robinson documents the process of inhabitation and colonisation, causing a chain of events that turn the Red Planet into a green one and later a blue world. A human presence on Mars will inevitably change the environment. It was HG Wells who first identified the possibility of humans unknowingly “spoiling” other distant planets through bio-contamination – bringing their bacteria and other potential microbial colonists with them. I believe the lessons we have learnt in the past century through polar – and in particular Antarctic -exploration and science are very relevant. Our delicate polar regions are continually threatened by climate change and so often used to forecast and track the state of our planet. Mr Robinson maintains that when it comes to investigating the challenges of sending a manned mission to Mars “Antarctica is the best analogue, not the Wild West or anything else”. He is referring to the Treaty on Principles Governing the Activities of States in the Exploration and Use of Outer Space, including the Moon and Other Celestial Bodies. Alongside the potential for “forward” contamination, our own contamination of the new, previously undisturbed environments we visit, there is the potential of “backward” contamination also. There are many other ideas – methods employed by past polar explorers using a depot system to cross Antarctica’s empty, hostile and unknown interior, could be adapted to a manned mission to Mars, where a series of supply depots could be laid in orbit between Earth and Mars, accompanied by sending reserve supplies equipment into Mars’ orbit or to a planned landing site on its surface. Like the polar expeditions led by Amundsen, Scott and Shackleton, this would add a factor of safety, reassurance and ability to resupply and makes repairs en-route, for the brave crew travelling into the unknown. 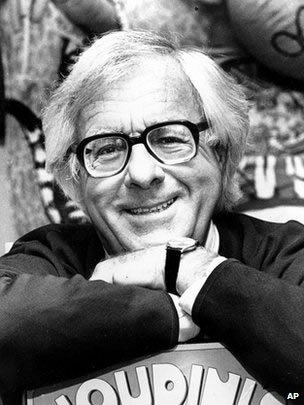 The late science fiction writer Ray Bradbury left us with an echoic and stern warning in his story The Martian Chronicles where the colonisation of Mars becomes a necessity for human survival – with humans fleeing a troubled, broken and atomically devastated home planet Earth. If our species follows its current course, a biblical apocalypse could be a potential outcome. He adds: “At some point, hopefully many, many years in the future, the Earth will suffer an event that human life cannot tolerate – that is to say, an extinction event. “If mankind is to survive as a species then in the long term our future existence lies in colonisation of other planets or moons. I believe this is something that can be achieved, but it will require many years of progressive steps before we are capable of colonisation. Many sceptics will undoubtedly question why any country would choose to invest in future space exploration, including a manned mission to Mars, while there are so many unsolved problems on our planet, from HIV to malaria to poverty. They would be absolutely correct. Trust me, I’m a doctor who has travelled far and wide, and have witnessed the worst effects of poverty, disease and war. Sitting in Antarctica 100 years on, dreaming of Mars, I would update Scott’s advice by factoring into his equation, the impact (unbeknown to him) of humans on Earth over the past century. Should we be so frivolous by our excessive nature, and be trusted to visit, contaminate and perhaps colonise another planet when we seem so incapable of conserving and looking after our own home world? Maybe this continuing lack of care for the planet and its people will one day become the reason we leave Earth for once and for all. However, alongside my experiences as a doctor, I also travel the world as a scientific explorer. On a large lonely wooden cross on top of a hill in Antarctica, overlooking a route taken to the South Pole, someone inscribed the words “to strive, to seek, to find and not to yield”. These words, borrowed from Sir Alfred Tennyson’s Ulysses poem, had been left by the party who located Scott’s tent in memory of the expedition team’s legacy. Among them, my own hero, the doctor Edward Wilson, whose dreams did not become a graveyard leave a blazing trail and legacy of science to inspire future generations. Only by pushing mankind to its limits, to the bottoms of the ocean and into space, will we make discoveries in science and technology that can be adapted to improve life on Earth. If the origin of life as we know it arose from a Big Bang in a distant area of the Universe, perhaps the solutions we seek to our problems on Earth may also lie there. Failing to strive, seek or find would be an even greater tragedy – and represent a giant leap backwards for mankind.